Now when He saw the crowds, He went up on a mountainside and sat down. 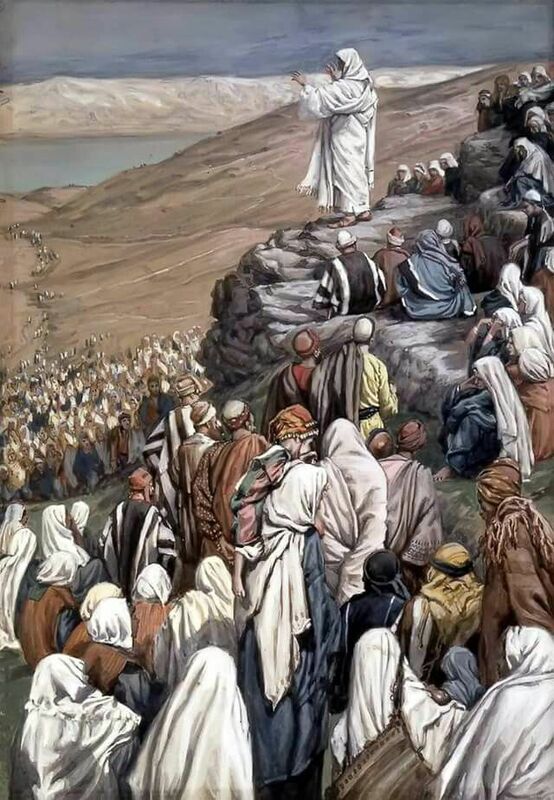 His disciples came to Him, and He began to teach them. Notice the text doesn’t say crowd but crowds. People flocked to listen to Jesus, because His words were like those of none other before Him, and He spoke with great authority. He was being salt and light, and He was an example of that city on a hill (literally, as He was on a mountaintop). People were drawn to Jesus. They were drawn to these words of foundational living that could pull them out of the quicksand of their everyday lives. And, this time, it was not the miracles that drew them. No loaves or fishes were being distributed. Only words that offered savor to their souls drew them. Only the light bringing them out of darkness into light magnetically pulled them to Him. Words of deep, abiding sustenance called to the crowds and provided for the special needs that only a city on a hill could supply. Yet, at first, these grand, life-transformational teachings were directed at only twelve people—and one of them could not be trusted. Now, however, crowds…well…crowded Him. 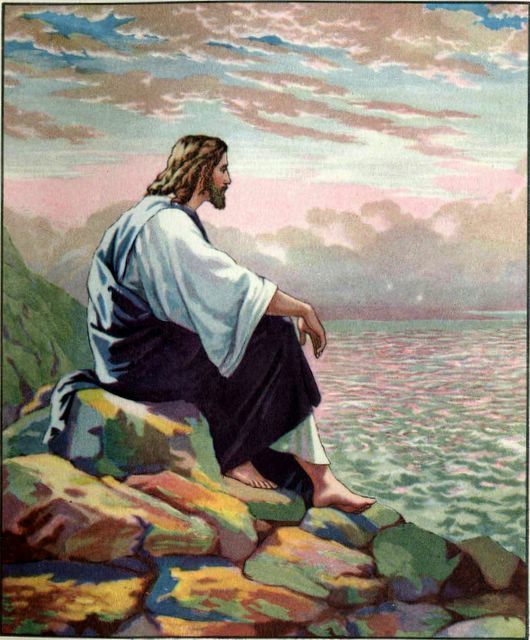 We began our journey as if we were sitting on a mountaintop with Jesus looking out over a great valley of His teachings (Most likely, He was sitting on a solid rock.) Our vantage point was and is clear. We could see the yard, the tree, the gate through this valley with the stepping-stones of life placed ever so deliberately and clearly along the way. We could also see the people on the Broadway. Indeed we had and have a clear view. So what kind of valley does Jesus talk about as He gazes from His mountaintop back to the future? He talks about a blessed valley or a happy valley. He talks about a valley that is for those of us who want life and want it to the fullest. He talks about a valley where the saints of God have tread, do tread, and will tread. He talks about a valley where it is clear we will be challenged again and again, but it is a valley where each child of God can truly win. He talks about a valley where the travelers look not just for earthly reward but also for a heavenly highlighted gain. He talks about a valley that will take us beyond the valley of the shadow of death to a place in the universe we call heaven. And while we are on the way, He talks about a valley that will provide rock-solid living in this quicksand world. So as Jesus looks down in the valley, we also have the perspective of looking up to the Rock—Jesus. Here in this valley, we have eight blessed stones, or boulders, over which we are to climb. As we accomplish this mountain climbing, we are more able to get a sound footing for living life fully. And to negotiate these stones successfully, our perspective must indeed be focused on Jesus and on a heavenly view. If we look only from the earthly view, or worldly view, this teaching will appear insane or, at the least, irrelevant. Those on the broadway likely will view this climb as downright weird. The apostle Paul might comment as follows: “But people who aren’t spiritual can’t receive these truths from God’s Spirit. It all sounds foolish to them and they can’t understand it, for only those who are spiritual can understand what the Spirit means” (1 Corinthians 2:14 NLT). So what are these stepping-stone boulders that can and will bless our lives as we travel on them? The first stepping-stone is the poverty stone. It is the one where we recognize our powerlessness or inability to live by ourselves independently from God and the place from which we can see that we are spiritually bankrupt without God. From here we can see Jesus, but we can see much more. We can see that we need Him to be the Lord of our lives. From this vantage point, we can see just how poor in spirit we are. If we have been walking on Broadway Lane, we can see that we can reach out our arms or cry from our hearts, “Jesus, save me from this muck and mire we call life. Lift me up, Jesus, and place me on solid ground. I don’t want to live in my own power, Lord. I want to turn my will and my life over to you.” Take this step and you are given an eternal promise: yours will be the kingdom of heaven. The second blessed stepping-stone is the grief stone. Here on earth, as we mourn the loss of those who die, we don’t have to mourn alone. We don’t have to drug or stifle our pain, but we can identify it and give ourselves permission to grieve. We can then turn our grief over to the Lord, by prayer and surrender. We can open our hearts to let the Blessed Comforter come into our lives and provide us—one day at a time—with the comfort and strength we need. It always amazes me how the world has taught people to medicate grief rather than to journey through the valley of the shadow. It’s interesting how some people tell others not to cry, when two things men and women have in common are tear ducts. It is covering up revelation when we say to grieving folks, “Be strong!” What we really mean is “bury those emotions.” It still surprises me when I hear people tell other wounded souls to “deal with it.” The result of following that advice is not dealing with the grief at all. Why not stand, reach out, allow, and grab hold? Why not stand on the solid rock? Why not reach out to Jesus by the Comforter’s power? Why not allow Jesus, the “man of sorrows acquainted with grief” to help us to grow and to grieve the painful, stormy issues of life? 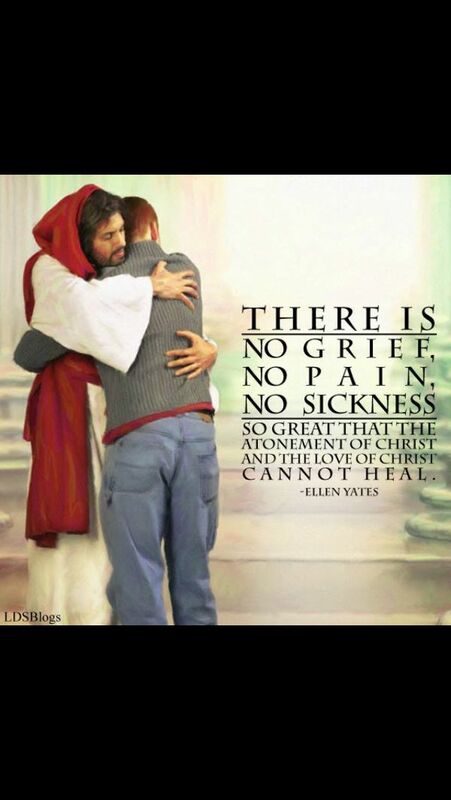 Why not grab hold of the grip of grace and be comforted by God’s own blessed Holy Spirit? Why try to handle it all alone? Why not be blessed, while we mourn, so that we will be comforted. 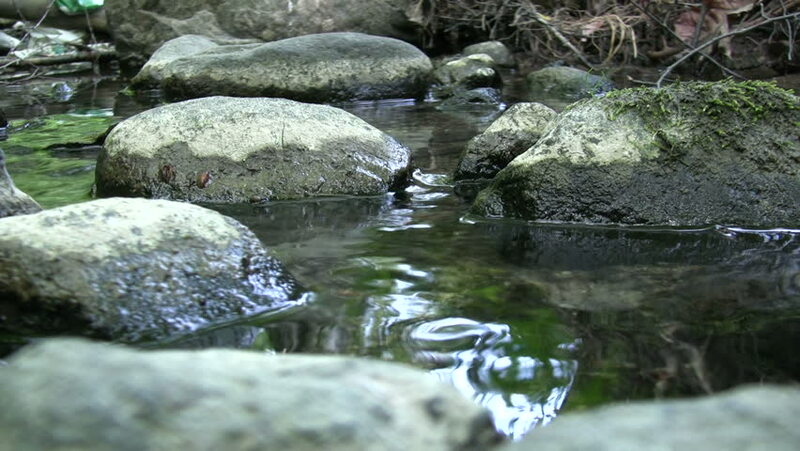 The next blessed stepping stone is the Meekness stone. If ever there is a stepping-stone that is misunderstood, it is this one. Many seem to think that meekness is related to being a wimp, a weakling, or a person who is afraid of his or her own shadow—to the point of never taking a stand for fear of being disliked or harmed by those who may be stronger. This is not meekness. Take, for example, Moses. “Now the man Moses was very meek, more than all people who were on the face of the earth” (Numbers 12:3). You can say a lot about Moses, but if you have read anything about Moses’s life, you will know that he was anything but a wimp. So, what does this tell us about meekness? I think it tells us that a good synonym for meekness would be a word I would like to make up. Meekness could be called “yieldedness.” Moses was at his best when he yielded himself to the Creator, who made him into one of the most powerful men ever. He denied his old ways, and he followed Almighty God. Next we come to the stepping-stone that satisfies our hunger for eternal food and spiritually life-giving drink. This food will never make you fat, but it will satisfy your soul, and it is a drink from a wellspring that never runs dry. There are any number of self-help books that are supposed to aid us. Many sell millions of copies and tell us how to give our lives more meaning and purpose. It seems there are many who seek the next gee-whiz pop-psychological babble to get their lives under control. People hunger and thirst for help for their lives. But Jesus does not talk only about such earthly minded ideas as self-help. He offers us a means of stepping on this kingdom-of-God stone so that we will fill our hungering and thirsting for the eternal. Jesus’ life is truly righteous, and He knows how to impart it to the one who has walked over the poverty stone, the grief stone, and the yieldedness stone. Because He lives, others can indeed live as well. He offers miraculous power that truly feeds the soul and quenches the eternal human spirit’s thirst for God. He offers the blessing of being empowered to live in the right way. He offers to those who hunger for God’s holy or healthy living the satisfaction of that hunger. He offers the way—the right way—for people to actually do more than exist and muddle through life. He offers to fill the emptiness of souls. He offers to quench the thirst of a parched spirit, providing life and true happiness. If we want this blessedness, we need to get hungry and thirsty—not for the world system with its limited life perspective but for the lifestyle of the kingdom of God. We need to get hungry for the heavenly bread that came down in the form of a baby named Jesus and who grew to be the Savior of the world. Eat this food and drink this bread, and find the power to live a godly life. Over the last several years, I have heard the word “karma” being used quite a lot here in the United States. Usually when this word is spoken, it is followed by “what goes around comes around.” And when I have heard it used, it is usually in reference to someone who has behaved badly toward someone else; so the one exemplifying bad behavior is reminded that actions do not take place in a vacuum. What people give out, they will get back. Now I don’t think a whole lot of the ideology of karma, but I have learned—as I have shared in other places in this book—that we usually reap what we sow. We reap apples from apple seeds, oranges from orange seeds, tomatoes from tomato seeds, and so it goes, on and on. The mercy stone is a stepping-stone toward happiness: Jesus is quite clear that the happy person (or the blessed person) is a merciful person. These people are blessed or happy because their mercy will beget more mercy. Merciful people, it seems to me, are low-stress people. They are not usually stressed out because they do not carry around a lot of grudges against other people. Merciful people tend to be more forgiving and less judgmental. They really take a load off their spirits by lightening their own burdens. They simply let go of a critical spirit that can bind a person in heavy chains, emotionally speaking. It’s like Jesus said: merciful people set themselves up to obtain mercy as a result of their own actions and as a blessing from Almighty God. The pure-heart stone is very interesting to me. Happiness comes from a pure heart, because a pure heart results in seeing God. That seems like a big deal to me. It’s a big deal because once we’ve gotten our seventy-plus years here on earth over, we go on to our eternal reward. We will either see God or we will not see God. I don’t think there are too many human beings who, when this life is over, don’t want to see God. I know that it is my priority to see God one day, because I have walked with Him most of my life. Not seeing God would be the ultimate failure of all failures. Needless to say, I want my heart to be pure. How does a heart become pure? The writer of Hebrews says, “Since we have a great high priest over the house of God, let us draw near to God with a pure heart in full assurance of faith, having our hearts sprinkled to cleanse us from an evil guilty conscience…” (Hebrews 10:21–22; emphasis mine). It is clear that our Great Eternal High Priest—who is Jesus—is clearly involved in making our hearts pure. In fact, He not only makes our hearts pure, but He does away with our guilt and our shame. He simply changes our consciences for the better. If you read the entire book of Hebrews, you will get all the information you need regarding how He accomplishes this as a part of God’s eternal covenant. Again, those who are unspiritual will think this is foolishness. This is because those traveling on the broad way do not intend to live a life that reflects a pure heart; therefore, these unspiritual minded people journeying on Broadway Lane don’t make it their life’s goal to be pure in heart. Their quicksand thinking is just the opposite. Theirs is a life of eating, drinking, and being merry. Theirs is a life of partying on for tomorrow they may die. Seeing God in the here and now is the last thing they want. They don’t think God would like what they do. And they are correct. He wants them happy and on a solid footing. He wants them on the narrow way, where true blessedness and happiness is prevalent and where seeing God is the goal. “Broadwayites” see such a God-fearing viewpoint as narrow-minded. They see people who want to be pure in heart as people who cling to their God, their guns, and their religion. So step right up! Make a choice! Choose this day whom you will serve. Decide whether you want to be truly happy and eternally blessed. Make your choice. Walk on the solid, foundational stone path that will lead you to see God and will bless you eternally. Be a person who believes in the Son of God, Jesus, and let Him make you pure in heart and eternally safe. Or you can choose the shortsighted way that will drown you in quicksand, and it will rob you of that which truly brings happiness. Now as we traverse the peacemaking stones, we really need to take time out to think about what Jesus is saying here. What does He mean when He says that peacemakers are blessed people and that they are called children of God? I think that, first of all, He means that a peacemaker is a person who has peace with God. You really can’t produce that which you don’t have. You cannot give away that which is not in your possession. Anyone who has not settled the peace treaty regarding his or her own soul cannot really bring peace to others. More peace—and true peace—comes from within, and it is about having a settled relationship with God. It is about the peaceful relationship Jesus gives to us individually, even in troubled times. Let me share with you a paraphrase of Jesus’s own words: “Peace I leave with you. My peace I give to you, and it is not the kind of peace the world gives. It is the kind of peace that does not let your heart be troubled or afraid” (John 14:27). Here, Jesus speaks to His disciples, who are children of God, and He actually talks to them while they are troubled and afraid. He talks to people who are in a relationship with Him about a gift that He gives to them as God’s children. He gives them the very important gift of peace. He does not talk about the absence of war or preventing war. He talks about children of God finding peace with God and passing that peace on to other people. Paul says that those who place their faith in Jesus are forgiven of every sin and are credited with being pure in heart. They are not held accountable for any sin committed, and they are not condemned. They are not separated from God. Because they are justified or credited with being righteous by the Almighty. They have peace with God right now, and so do we when we have such a relationship with Jesus. God has signed a peace treaty for our souls. So what are we to do with this relationship of peace with God? Since we have peace with God, we are to make peace. We are to pass our peace along. We are to help others enter into their own eternal peace treaty. Because we have found peace with God through our Lord Jesus Christ by placing our faith in Him, we are to encourage our friends, our relatives, our associates, our neighbors, and everyone else to know Jesus. It really is true that to know Jesus is to know peace with God, but to have no Jesus in our lives is to have no peace. Jesus says it this way in the same chapter where He promises to leave His peace with us: “I am the way, the truth, and the life. No one comes to the Father but by Me” (John 14:6). Because Jesus is the way to the Father, the truth about everything, and the source of life, He is the one who gives us peace so that we can have peace and make peace as children of God. What a happy thought this is…a happy thought indeed…a blessed thought indeed! When I began this section of the book, I started to treat these two stones (based on the tenth through the twelfth verses) as separate stepping-stones; yet, as I looked carefully at them, I realized they are different facets of the same stone. Persecution is so prevalent today that it is uncanny. Even as I write these words, I have watched the news and have seen how children in Iraq are told by ISIS to deny Jesus Christ or die. The children said they had always loved Jesus, and they could not deny Him. These religious fanatics immediately cut off their heads. Jesus was waiting for these children in heaven. Theirs was (and is) indeed the kingdom of heaven. Hundreds of thousands of people who would and do not deny Jesus suffered (and are suffering) at the hands of these hideous terrorists. Yes, others were beheaded, raped, whipped, and even stoned to death. All this continues even at the time I am writing this book. These demonic people slaughtered and are slaughtering children right in front of their parents. On the authority of God’s Word, all of these who have died are truly blessed, and they are shouting for joy in heaven, as they are in the very presence of the loving Savior who died for their sins! They are happy, as He promised! Many grieve down here regarding their loss, but in heaven there is singing and dancing and no more persecution. Here in the United States, we are not being beheaded and tortured, but the secularist movement is going out of its way to avoid saying anything against the Islamic faith. At the same time, these same people are doing everything they can to belittle Christ followers. I know because I have experienced this firsthand. It’s not hard to find people telling lies about Christians and falsely accusing them. It’s not hard to find people treating those who stand for Christ in such a way to cause them to lose their jobs, if possible. And this is being done simply because the Christ follower believes what God Almighty has taught. It’s not difficult to find obvious (and not-so-obvious) persecution among the saints of God who truly stand for Christ and His teachings. Jesus tells us to rejoice; that is, He tells us to have joy on top of joy. He gives us a rock-solid stepping-stone on which to stand. He tells us that there is an eternal heavenly reward for us, and He makes it very clear that great is our reward in heaven. He also makes it ever so clear that we are in good company because the prophets of old were also persecuted like this. He tells us that we are in great company indeed! Be Blessed. Be Happy. Take a Leap of Faith To Jesus. Walk on HIS STEPPING STONES to Eternal Life. Thanks for being the instrument of the forgiving God. Shame, guilt and fear are the work of the devil and seek to ruin lives. Great story. Thanks for reading this. It amazes me how healing forgiveness can be.